If you are planning to go on a cruise trip you may want to see the top 5 family cruises from Sydney that you can book for your trip. There are many options from cruises around Australia, to sampler short cruises from Sydney. but over here we recommend the best ones only. You may even find on some kids cruise free with full paying adults, yes kids cruise free. Read until the end so that you can choose the cruise that you want to book your trip! For a relaxing cruise, the trip on Pacific Aria as it is one of the most luxurious cruise ships out there. This cruise offers world-class service and balcony rooms to let the freshness of the outside come inside the rooms. For the ones who want everything king size and luxurious then you will love the penthouses that overwhelmingly luxurious. The staff at the cruise will offer you the best service and pamper you to the fullest. The Salt Grill by Luke Mangan is the first celebrity chef restaurant on the ship. This is one of the most amazing places to spend your time while you enjoy the ocean. You can also go for a spa and shopping trips. Radiance of the Seas is one of the most modern cruises with panoramic vistas. You will never miss out the view because its floor to ceiling windows and ocean facing glass elevators as well as the nine-story atrium gives it the best view that is mesmerising and relaxing. There are a whole lot of dining places that you can choose that offer mouth-watering food. The dome is the place for all-nighters to enjoy the time dancing and drinking. This cruise is the best if you are looking for a romantic getaway and even for a family trip. The Movies Under the Stars is an ideal family activity. This cruise will take you to the most beautiful and far away destinations all over the world. This is not it. This cruise has some restaurants to dine in and enjoy the mouth-watering delicious cuisines. There is a library for the book lovers. The cruise ship industry remains the fastest growing tourism sector in Australia – almost 1.3 million Australians go on a cruise each year, cruise tourism’s contribution to the Australian economy is significant. Pacific Eden is a luxurious cruise with an on the deck swim pool. 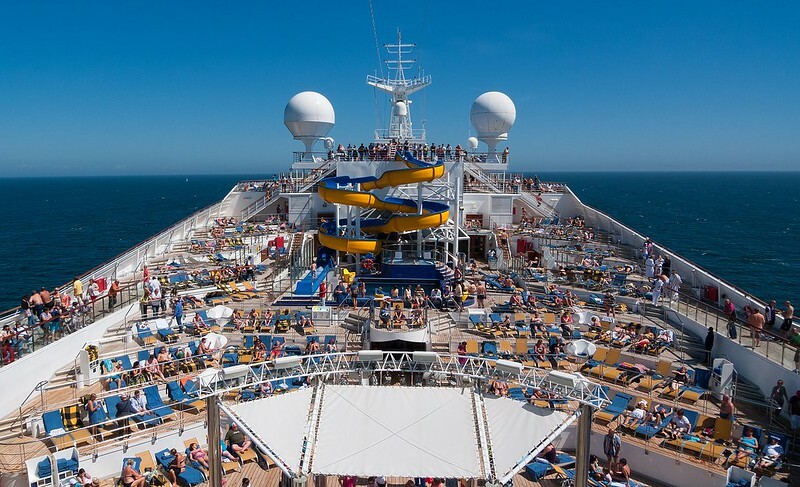 Cruises for kids a swimming pool is a must, Take a relaxing dip without worrying about the weather, thanks to the retractable roofs which can be adjusted depending on the weather. Dine in at the many restaurants that are available. These restaurants have the most amazing food. The dome is the place to be if you love to dance and spend the night on the dance floor. The two world-class cruise termiinals in Sydney Harbour can easily welcome some of world’s newest and largest cruise ships. These massive ships bring up to 5000 passengers each. Over 1.5 million passengers are expected to be carried in and out of Sydney by cruise ship during the cruise season. These days the sampler cruise or short cruises from Sydney are becoming very popular. The short cruises from Sydney take you out off the Australian coast for 3 days and let you experience what a cruise is like. It’s a good test to see if cruises with kids is a good idea for your family. These 3-day cruises from Sydney are run by all the major liners. You will even get offered some amazing cruise ship Australia deals. The cruises out of Sydney have received so much media lately. I remember seeing all five of them in the Sydney Harbour Heads all at once a few months ago. I still haven’t been on a cruise…..not really sure if they are my thing. I think cruises are a great way for families to travel, especially if they are just getting their feet wet with international travel. And they usually have a fun kids program, so the whole family can get something out of the vacation. I’ve never cruised before, but I can definitely see why many families would choose to do so. There seems to be something on board for everyone. I’m glad to know there are such great options available for families in Oz, too!